While many politicians saw their star rise over the course of the 2016 election, the presidency of Donald Trump is sure to catapult even more politicians to prominence. So here's a look at who you should have an eye on heading into 2017. Trump may have just won the 2016 election, but according to "Real Time" host Bill Maher, Democrats should be looking at California Lieutenant Governor Gavin Newsom to take on the billionaire businessman in 2020 simply because "he could win." "He's ballsy. He has been on the right end of issues here in California before they were popular," said Maher in an interview with Attn:. "I don't see anyone in the party who would be a better candidate," Maher said of Newsom. Gavin Newsom was elected Lieutenant Governor of California in 2010 and re-elected in 2014. 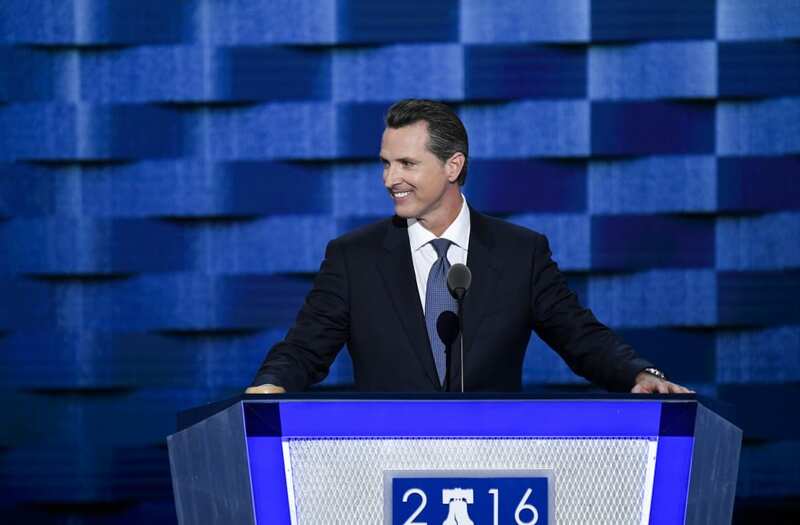 In February 2015, Newsom announced he was opening a committee to run for Governor of California in 2018. Someone who has already run president, Evan McMullin, emerged from anonymity to become a major talking point over the course of the 2016 election after jumping into the race as an Independent candidate, and McMullin doesn't seem to be slowing down his attempt to stand-up for conservative values. On Election day Kamala Harris became only the second African-American woman, and the first Indian-American woman — to become a U.S. senator. Her victory was a bright spot for Democrats on an otherwise stunningly bad 2016 election. Considered an early favorite in the race for head of the Democratic National Committee, Rep. Keith Ellison is one name to keep tabs on in 2017. The Minnesota representative was one of the few Democrats to warn the blue team about Donald Trump's potential in the 2016 race, and following the party's devastating defeat he could be the person try and steer the ship. Nikki Haley has been making waves since being elected South Carolina governor in 2011, however her profile is sure to take an even greater boost in 2017 after being chosen by President-elect Donald Trump as ambassador to the United Nations.